Investor: Primmun Real Estate s.r.o. Hotel in the center of Prague. Street Na Porici. Free space between houses. Poříčí Street was extended by the deliberate arrangement of the famous Gočár’s Legiobank, which created a luxurious city class. From Náměstí Republiky in the direction of Těšnov, the representativeness of a generous street will disappear. The principles of the composition of existing buildings are clearly visible. A tall commercial parterre, separated by a central window strip, the last receding floor, all underlined by the variety of materials. 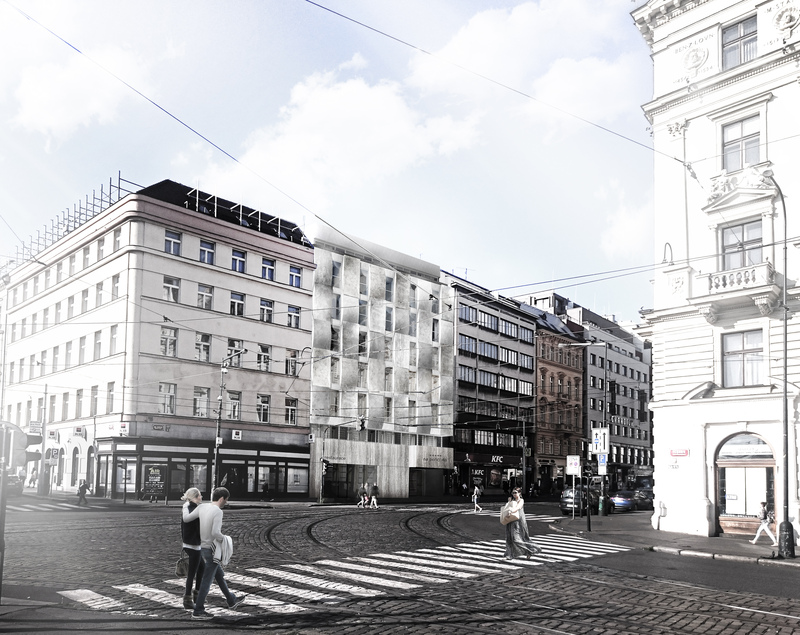 The decision to use the monitored street principles was quite natural, as was the awareness that it was necessary to create a house with its own personality to restore the city class to Těšnov. House designed for one particular place only. Only such has the chance to become in the future and time. In a compact street front building, the houses are used by only one facade. That’s why Prague is plastic. The facade dividers cleverly replace the missing spatial dimension. 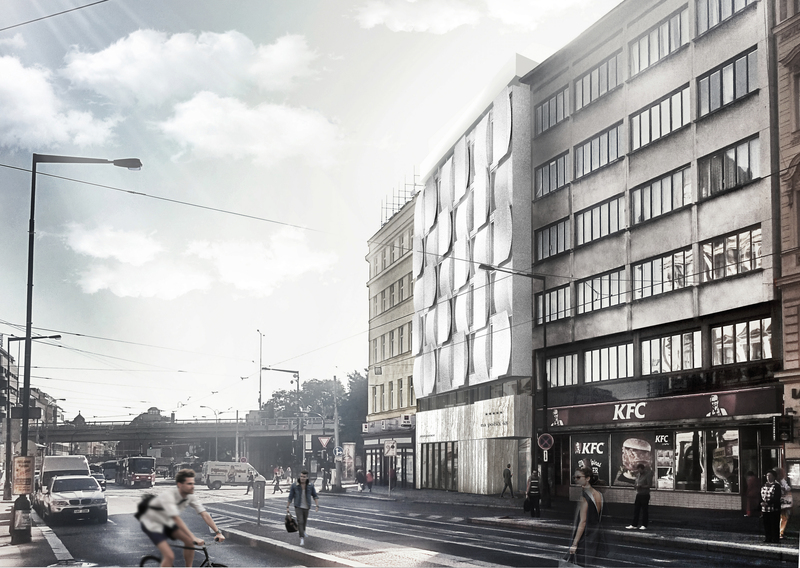 The facade of the hotel, with its plasticity, works both in divisional and cubist principles. The appearance of the object differs with the location of the observer. 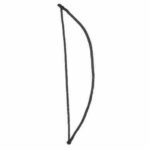 Side views are more dynamic than frontal views that are least effective in the queue. 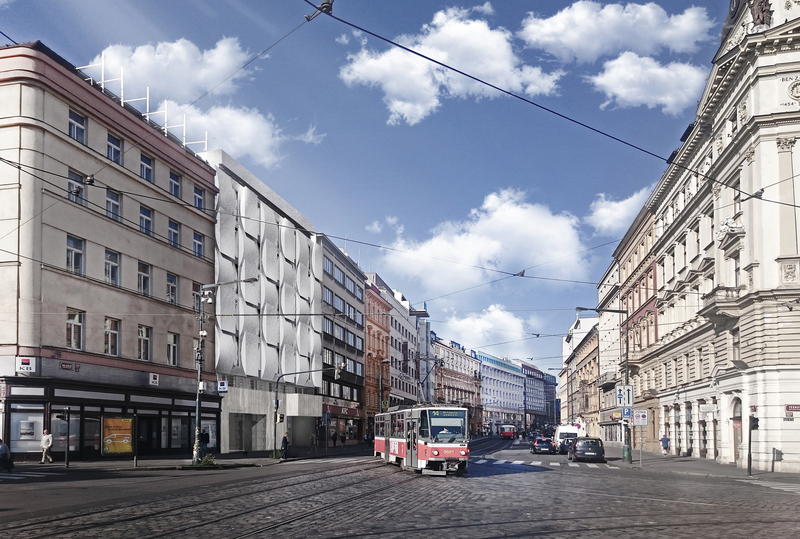 The spatial elements of the central part of the facade are convex and concave glass fiber-reinforced shells all over the floor, anchored in a traditional Prague layout with window openings placed one above the other. The noble stone piano is separated from the travertine stone strip from a plastic concrete section and the entrance to the hotel is highlighted by a hanging awning.